If you're a child of the 80s like me, "Butterfly in the sky, I can go twice as high!" constitutes the most memorable opening lyrics of a song from that decade. Reading Rainbow exposed me to cultures, neighborhoods, and ways of life that I did not get to experience in my own hometown. It prompted umpteen visits to the library, where I'd search for the latest LeVar Burton book recommendations. And it was really fun! I felt sad when each episode ended. I could have watched RR all afternoon. Thousands of people like me with the warm fuzzies over Reading Rainbow have pledged more than $3.8 million to date toward its new $5-million Kickstarter goal, making it one of the most successful Kickstarter campaigns ever. The organization blew its $1 million goal out of the water in just one day (they thought it would take 35! ), largely because of the gratitude, nostalgia, and value that the decades of RR fans feel toward the RR brand; namely, LeVar and the show itself. 1. COMMUNITY - Making supporters feel invested in and integral to Reading Rainbow's success. Since the beginning, the messaging from this campaign has been focused on the concept of "us." For example, "Together, we can change the lives of millions of children." "We can’t do it without you." And Kickstarter reward packages with names like "I CAN HELP." Powerful stuff. How does your messaging help people to feel like they're an important member of your nonprofit's community? 2. CORE MISSION - Regrouping quickly around the core mission. RR did an exceptional job of pivoting as soon as they saw that their original $1M goal had been met in one day. They responded openly and quickly to feedback from the general public; they set a new, much more ambitious goal that was easy to understand (see #3! ); and they maintained a positive and proactive tone. How were they able to do this? I believe it's because the RR staff has such a crystal-clear sense of their mission and vision. Without that guiding them, they would have flailed around for awhile, unable to revise their goals and messaging as rapidly as they did. Does your nonprofit have a very clear, easy to articulate mission and goal? 3. COMMUNICATION - Specifying how funds will be used. From their simple, colorful infographics to LeVar's timely videotaped Kickstarter updates, RR is absolutely knocking it out of the park with clear donor communication. It's easy to grasp the concept they are proposing, which is that more money equals RR provided for free to many more schools and on many more platforms. Are you able to articulate exactly how donor funds will be used, and why these donations are so critical to fulfilling your nonprofit's work? You don't have to take my word for it! :) How can you incorporate the three C's into your nonprofit's work? 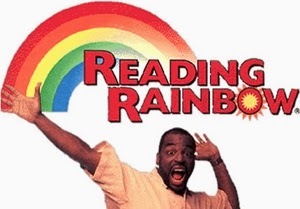 *I recognize that Reading Rainbow is not a nonprofit organization. Nonetheless, their mission is service-oriented and their fundraising practices are stellar!